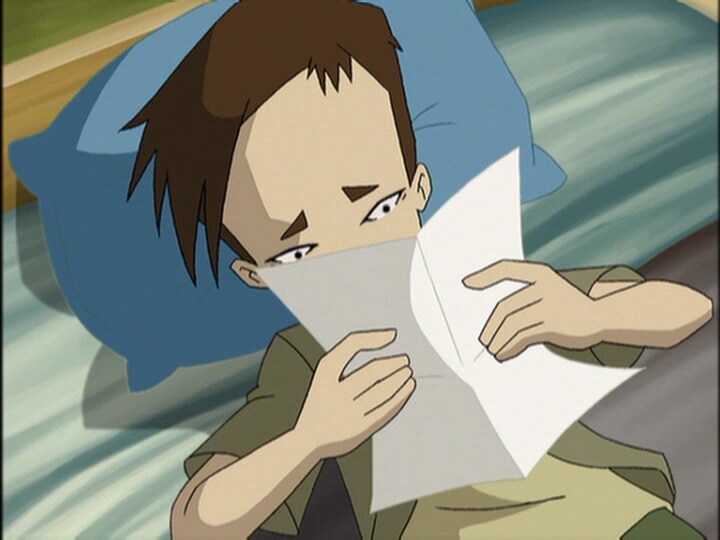 Ulrich is reading in his room when a letter slides under the door: a love letter from Yumi which leaves the boy confused and distracted. Feeling pensive all day, he goes to the park alone to think…but the hornets target him and chase him through the trees… He warns the principal about the aggressive insects lurking in the park… Michel Rouiller goes to exterminate them and equips himself for the job in the tool shed. Students and fire fighters are powerless, taking cover in the cafeteria. The heroes make it to the factory, Jeremy having driven the insects away thanks to an ultrasonic machine. 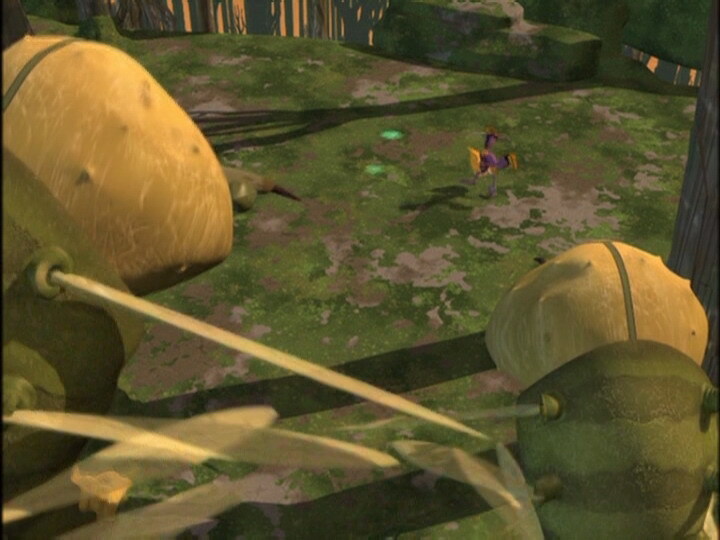 During the start of the fight they are at a disadvantage because Ulrich doesn’t even bother to draw his virtual sword, still affected by the humiliation caused by Sissi. 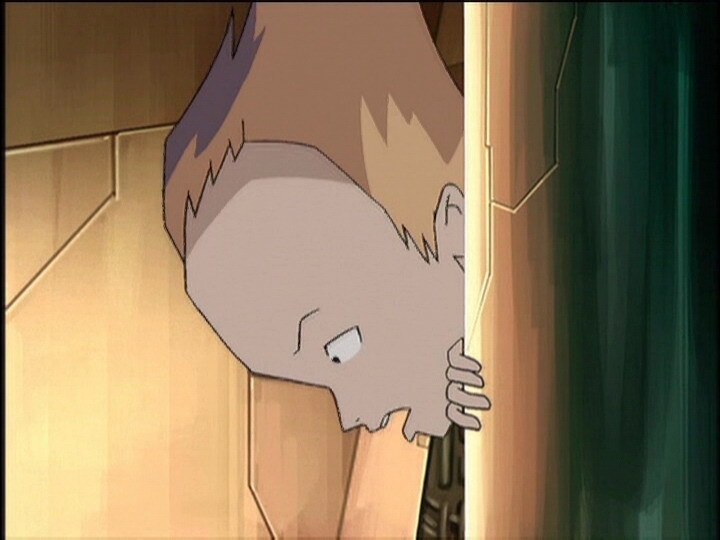 It’s a few words by Yumi (“I know you’re unhappy, but there’s no reason to be, our friendship’s stronger than that, right?”) which makes the boy decide to respond: he annihilates two Hornets in one go and lets his companions head to the Tower. 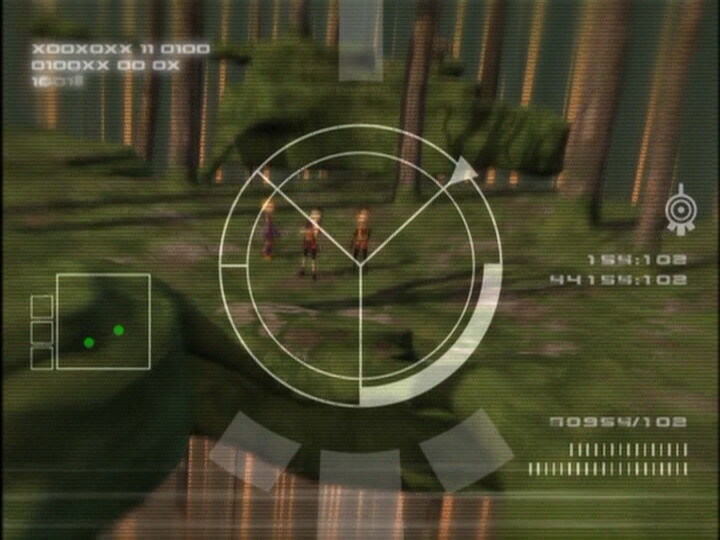 When Yumi is devirtualised, he hunts down and exterminates the Hornet responsible! 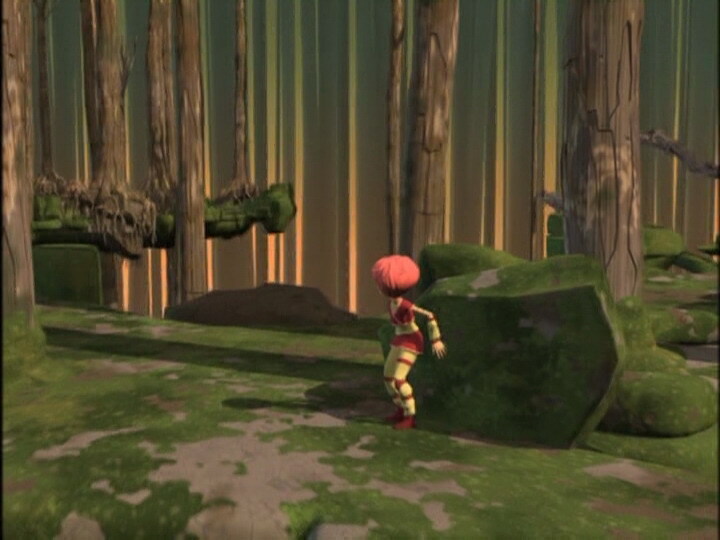 Aelita makes it to the Tower without any trouble while on Earth the hornets invade the cafeteria. 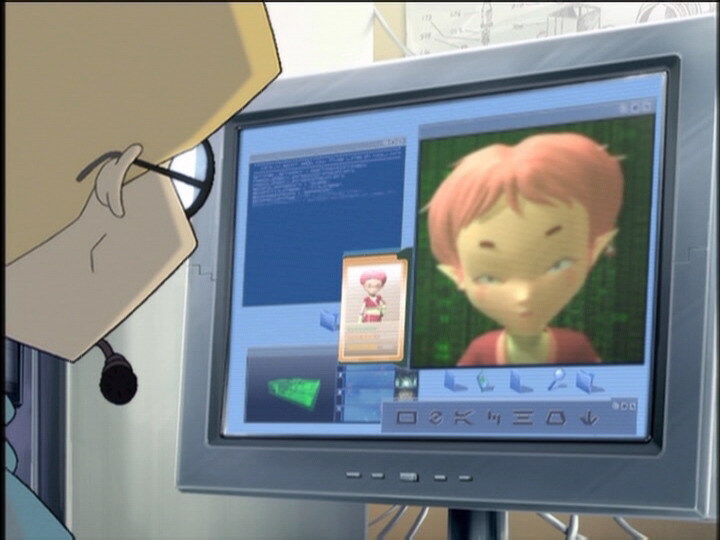 Once again the Code Lyoko saves many lives, stopping the insects flying in like darts… The Return to the Past is launched. - Attack: Control swarms of hornets to block access to the factory and kill the heroes. - The return to the past stops the attack and erases memories. - Ulrich makes his first love declaration to Yumi, misled by a false letter sent by Sissi. - First appearance of the groundskeeper/gardener Michel Roullier and Emilie Leduc, who plays a major part in episode 22, “Routine”. - Emilie knows Odd keeps Kiwi in his room. - Jeremy calls the groundskeeper Mr Bennet when his real name is Michel Rouiller. - At the moment when Mr Rouiller leaves the shed the door is open the wrong way. - The factory microphone disappears from Jeremy’s ear just before he says “Scanner Yumi”. 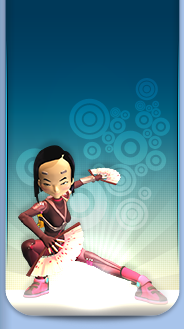 - Yumi’s outfit is reversed when she absorbs a Hornet laser with her fan. - The door to Odd and Ulrich’s room changes colour in certain shots (blue, grey and green when it should be grey). 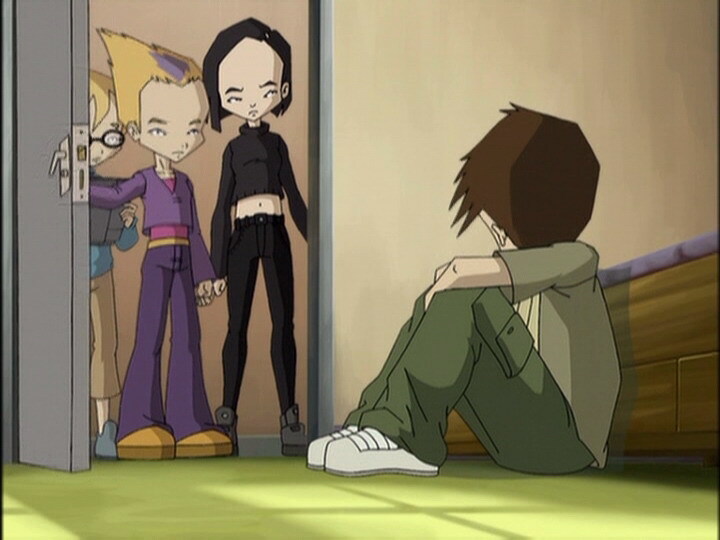 - Odd’s pants are entirely the one shade of purple when Jeremy talks about the groundskeeper, when he watches the hornets in the sewers with Jeremy and when he (Odd) opens the door to his room to find Ulrich with Yumi and Jeremy, and the colours are inversed during his transfer. - Only episode in season 1 in which when all the heroes are virtualised there are no circles around them. - Same method of attack as in the previous episode. - First episode in which all three heroes are virtualised at the same time! Odd: Just imagine all the things she’s gonna learn when she gets here! She’s gonna be amazed! Odd: Ok guys, it’s time for us to work up a sweat! 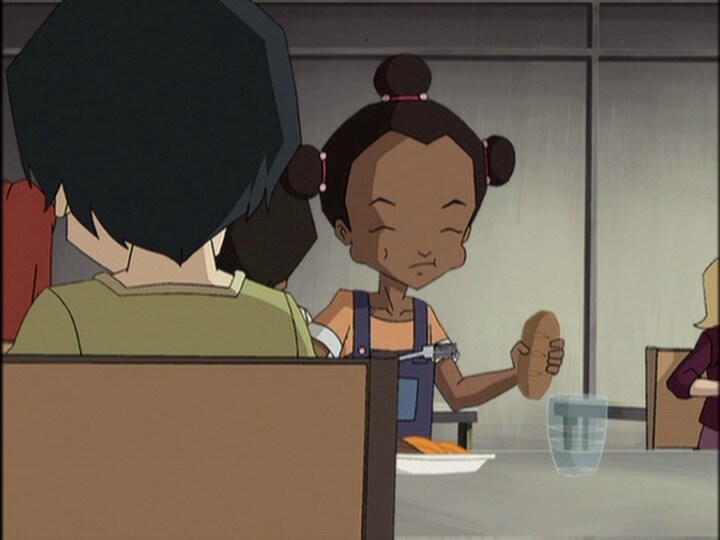 Ulrich: Yumi! W-wait, I…I, um…are you ok? Yumi: Well yeah? Why are you asking? Ulrich: I just uh, just…asked! See you later! Ulrich (reading a letter): Ulrich, I don’t know how to tell you this, so I’m writing it. I’ve always admired you. I’ve been wanting to tell you for ages, but I didn’t have the nerve…also, I wasn’t a hundred percent sure, but now I am. I love you. Signed, Yumi. Ulrich: Oh, how could that have happened? Jeremy: Hey Ulrich, don’t take this badly, but…your playing was kinda weird. Odd: You could say that again! Why, even Jeremy was better than you today! Odd: He’s in loo-oove! Hahahahaha! Ulrich’s in loo-oove! Odd: And can you tell us who the lucky lady is? Jeremy: Uh…hey, Odd, did I really play better than him? Odd (guessing): Milly or Tamiya? Jeremy: No, they’re too young! Jeremy: No, no, much too young! And they’re so…you know, they’re…they’re too uptight! 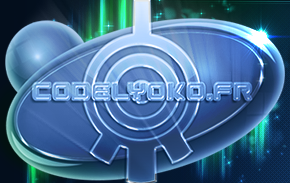 Odd: Hm…Emilie! Yeah! Yeah, yeah, it’s her! Look, I’m an expert with girls – she’s pretty, she’s the outdoors type – she’s the one who’d flip for him! Yumi: Oh yeah, who is Emilie flipped over? Odd: …it’s Jim! Emilie’s crazy about Jim! Jeremy (talking about Kiwi): Don’t worry Odd, he’ll be back on his feet in no time! I mean, back on his paws! 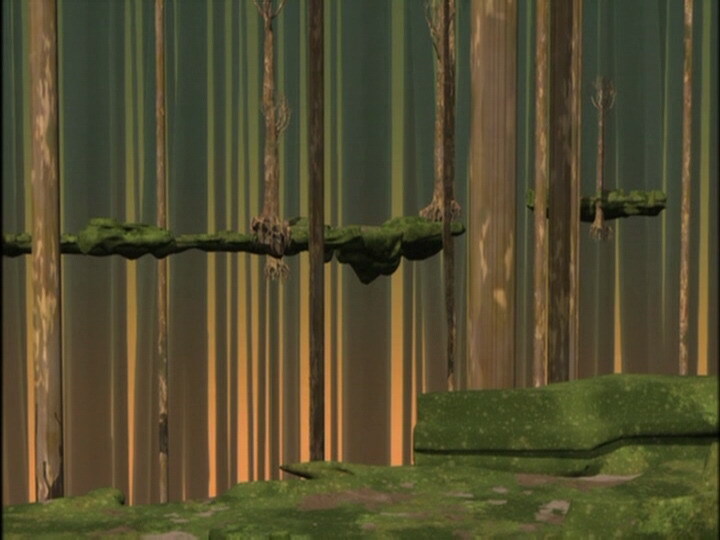 Ulrich: Uh, Yumi? Come over here, please… I wanted to tell you something! Yumi: I did too! They say Emilie’s in love with Jim! Emilie: Ahem! What’s all this about me being in love with Jim?! (**Slap**) Start that rumour again and even your dog won’t recognise you! 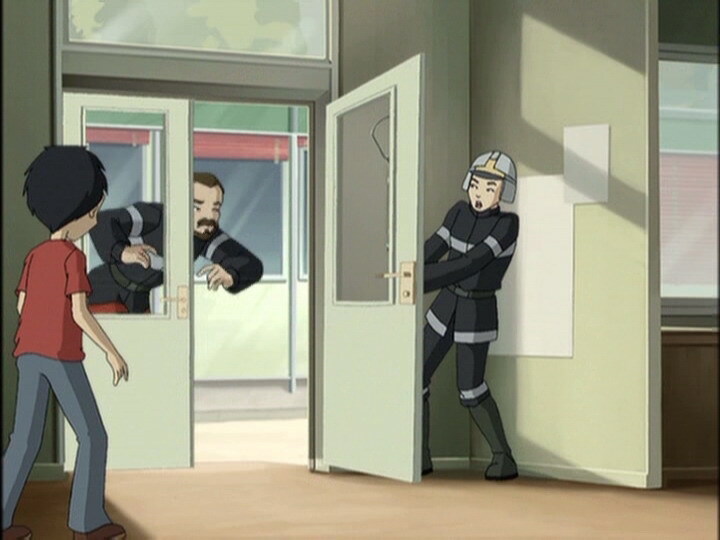 Ulrich: No, no, wait, Yumi! I wanted to, uh…tell you something. It’s about your…about your letter. Ulrich: No, let me finish. You said in the letter that…that you had certain feelings for me, and…I wanted you to know that…that I feel the same thing for you. There, I said it! Sissi: Hahahahaha! Kind of embarrassing if you ask me! Odd: Jeremy, any suggestions would be very welcome! Jeremy: Uh, get away from here as fast as we can? (they flee, but are cut off) We’re trapped! Odd: Hey, got any other ideas? Odd: This is your idea?! Jeremy: Insects are very sensitive to smells! Odd: They’re not the only ones, huh! Ugh! 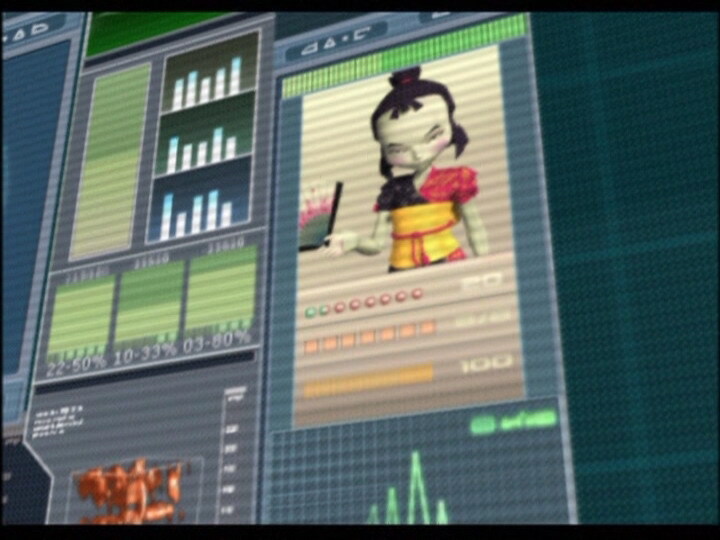 Yumi: Ulrich, this is all because of Sissi! Ulrich: Don’t you think I know that? B-because of her, I’m confused. Every time I see you I don’t know what to think. So just leave me alone, ok? 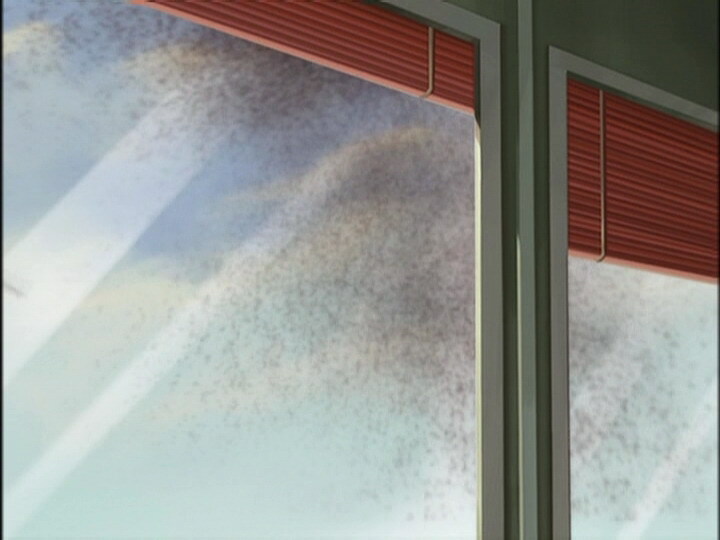 Ulrich (talking about the hornet-repelling machine): Your thing stopped! How come? Sissi: Oh, and talk about embarrassing situations! I’m sure that Ulrich’s not about to forget this for a long time! What genius I am! Jeremy: Ulrich, what are you doing?! Wake up, will you? Yumi: Ulrich, are you with us or not? I know you’re unhappy, but there’s no reason to be, our friendship’s stronger than that, right? You can’t let Sissi’s dirty tricks beak us up, can you? So forget all about that, please! We need your help! Yumi: Well that’s a pretty embarrassing situation, don’t you think? Sissi: I, er, this wasn’t the right door! Heh! Yumi: It sure isn’t! Why not give it to Nicolas or to Herve? They’d be delighted!